John Kleefeld will soon be joining the University of New Brunswick as professor and dean of law. Professor Kleefeld comes to UNB from the University of Saskatchewan where he served as associate law professor with experience in teaching tort law, civil procedure, dispute resolution, legal research, and judgment writing. He has an LLM from York University’s Osgoode Hall Law School, an LLB from the University of British Columbia, and a BA from the University of Waterloo. He is a member of the Law Societies of British Columbia and Saskatchewan and has represented clients at all levels of court, including the Supreme Court of Canada. “We are pleased to welcome John to UNB as dean of law. His background in practice, his innovative teaching, and his commitment to excellence in research make him an outstanding addition to our faculty and our community,” said Dr. George MacLean, UNB’s vice-president academic on the Fredericton campus. Professor Kleefeld was a Visiting Fellow at the Institute of Advanced Legal Studies at the University of London and a visiting professor at Libera Università Internazionale degli Studi Sociali (LUISS) Guido Carli in Rome, Italy. He is a Teaching Fellow with the Gwenna Moss Centre for Teaching and Learning. In his role as an educator, Professor Kleefeld is creative and forward-thinking. 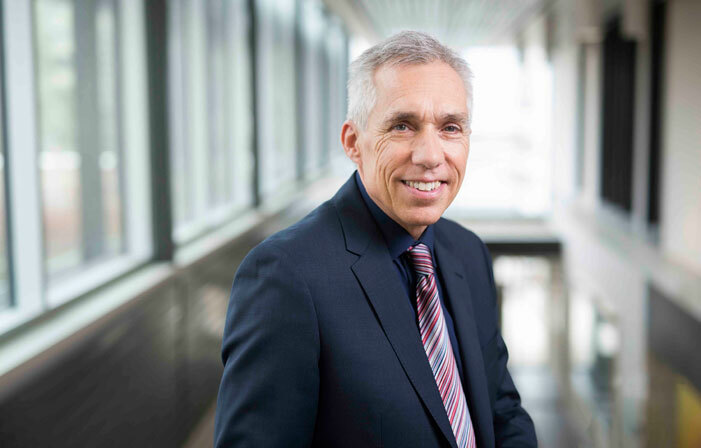 He received the University of Saskatchewan Provost’s Award for Outstanding Innovation in Learning in 2012 and the national Brightspace Innovation Award in Teaching and Learning in 2015. Professor Kleefeld has a variety of research interests across disciplines. He has studied apology and law and creativity and the law. Most recently, he has worked with law students to edit Wikipedia articles on legal subjects to enhance the quality of free legal information available online. He succeeds John Williamson, who was appointed to a two-year term as dean in 2015. Dean Williamson, whose career at the law faculty has spanned more than 40 years in various teaching and leadership roles, continues as professor of law. Professor Kleefeld’s five-year term as dean begins on July 1, 2017.